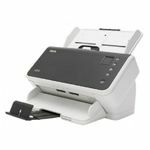 Battery powered scanner with Wi-Fi connectivity for the ultimate in portability! The cross platform compatible ScanSnap iX100 brings the power and intuitiveness of the ScanSnap range of models to a compact and totally wireless format. Weighing just 400g the ScanSnap iX100 comes with a USB rechargeable Lithium-ion battery that is capable of up to 260 A4 scans on a full charge. Combined with an ability to scan either via a wireless network to PC workstations or mobile devices running the ScanSnap Connect Application this ScanSnap delivers a true ‘scan anytime scan anywhere potential’. 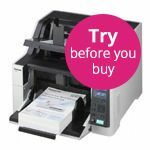 The iX100 will automatically detect and scan in black and white or colour, will recognize the size of each document and scan accordingly, will detect and correct for skew and will show images in their proper orientation with blank pages removed. All these automatic functions help ensure that the first scan is the best scan and minimise operator involvement. An inbuilt GI processor helps set the iX100 apart when it comes to scanning performance and reliability delivering an impressive feeding performance. Indeed scanning speeds are maintained even if the target device is not up to the pace or cabled connectivity is lacking, scanning via a Wi-Fi connection is made effortless and hassle free. Scan your everyday documents from business card to A3 size (A3 is also possible with the use of an optional carrier sheet) and then view, file, edit or distribute your digitised documents. 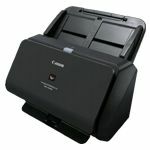 The ScanSnap iX100 comes with a choice of paper paths, a straight paper path aids for the scanning of everyday documents and thick materials like post cards, business cards, and plastic ID or credit cards and a u-turn path helps facilitate the scanning process when space is at a premium or indeed when the Continuous Document Feeding function is activated. The Continuous Document Feeding function allows the insertion of pages one after another by detecting when a sheet enters and exits. 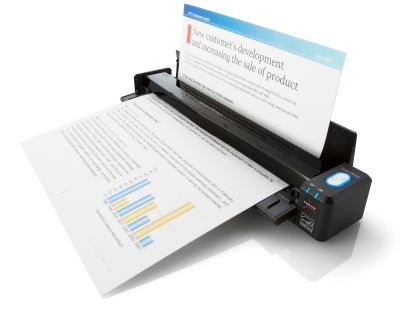 Set the document face-up into the iX100 and push the Scan button, the iX100 will then proceed to scan the front side after which the page will exit from the top of the scanner if the paper path is set to U-turn, simply then re-insert the page without pressing the Scan button to scan the back side. After scanning has finished, press the Scan button to save the file. The Quick Menu allows you to quickly transition between different scanning intentions. Just press the scan button and choose what you want ScanSnap to do. QuickMenu has been additionally enhanced so that now it can be set up to display your ‘Favourite’ scanning destinations or ‘Recommend’ an application for example if you are scanning a business card it could ‘Recommend’ CardMinder. Scan to Picture Folder or iPhoto: Store JPEG scans to a folder. *Rack2-Filer is provided as a 30-day trial only with this product. 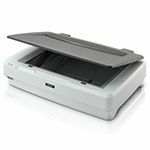 The ScanSnap iX100 in addition to being able to wirelessly scan to a PC or Mac also supports wireless scanning to mobiles and tablets including iOS, Android* and Kindle devices. In conjunction with the ScanSnap Connect Application** users can initiate the scanning process from the scanner or mobile device to enjoy greater flexibility in accessing and distributing their documents. **ScanSnap Connect Application is available as a free download from the official application distribution service of the device (e.g Google Play, Amazon App Store and Apple App Store). Directly interact with your digitised data anywhere and anytime from any device via the cloud. Like all current ScanSnap models, the iX100 can link to cloud services Dropbox, Evernote, Google Docs™, SugarSync, Salesforce Chatter and SharePoint Online (for Windows®). 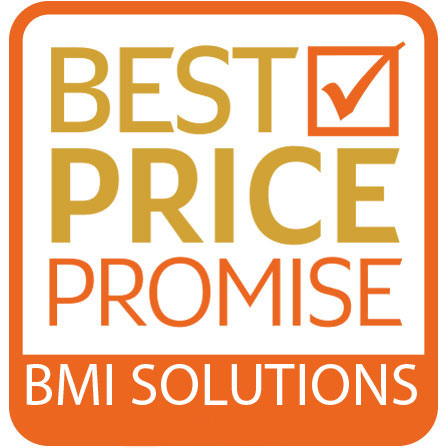 Fujitsu offer a range of different warranties dependant on the scanner you are purchasing. 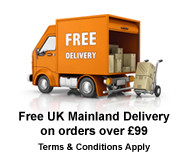 To purchase a warranty please select from the available options in the drop down list above the 'Add to Cart' button. Click here to find out more about the available options. Wow! Very impressed by this tiny scanner. What a change from our old flatbed scanner. Ok you can't scan pages of books/magazines but I didn't do much of that anyway. My only problem with the whole set up was it took three attempts to get the installation disc to operate. It took a while to install the bits but I just left it to it. I had 43 old photographs on my desk which I had not got round to scanning in because of the time it took with the old one. Various shapes and sizes. Took me just over five minutes to scan them in, and that was my first use of the scanner. The on screen installation instructions are very easy to follow. Shows you how to set up by wire to PC, then wifi to PC, then wifi to tablet. Note, looking at the picture on Amazon it looks like there is a case with it, there isn't. It is ideal for carrying around, a case would be advisable. My wife commented it would slip into a handbag easily. You can scan up to A4 size, however according to the blurb you can fold an A3 in half and put it through twice. It will then merge it into one. Not tried that yet. It did readjust a couple of my photos when I misfed them through the scanner so that I didn't have to do them again. You can even feed a couple of small ones through at the same time and it will do two images. Brilliant!! !